I took Mags for a quick walk today since it made it all the way up to 25 degrees, and I spied this yarn bomb in our neighborhood. 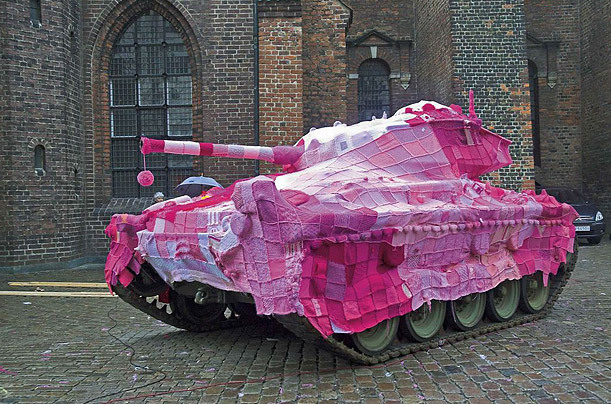 I have to tell you, sometimes I think this is a really cool artistic movement. But most of the time? I think it’s crap. And here’s why — because in Minnesota (especially in the winter) this stuff gets wet and dirty and saggy and GROSS. The piece above is obviously still fresh and lovely. 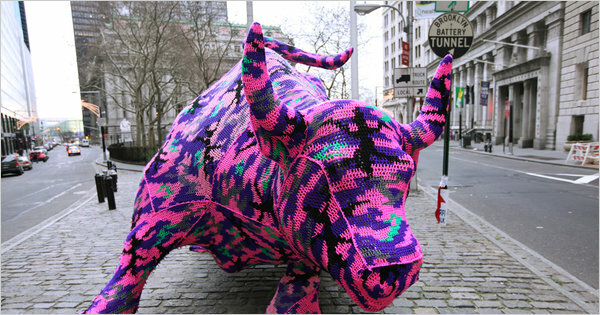 But the kinds of yarn bombing that I really like are more like this or this or this. And even then, as soon as it rains someone needs to take that stuff down. Ew. For your internet share of the day, how about these amazing hot chocolate recipes including spicy maple cinnamon hot chocolate? GET IN MY MOUTH.